We have a very warm spring, so they bloom March – May. When do yours bloom? Simply beautiful… Reminds me of a prolific and sometimes repeat bloomer called “Pagan Goddess”. How lovely that it’s already iris season for you. I wish I knew the name of this one. I pulled it up from a community garden plot I had once upon a time. They were left by a past occupant. 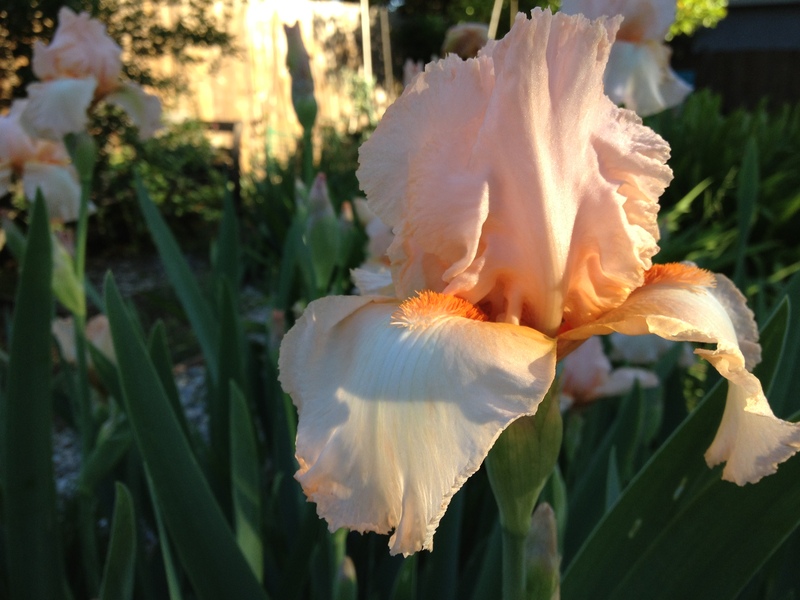 Peach is not usually my color, but I am not picky when it comes to bearded iris. I like the name “Pagan Goddess.” You have inspired me to try to identify the variety I have.